Greg Stempfle. 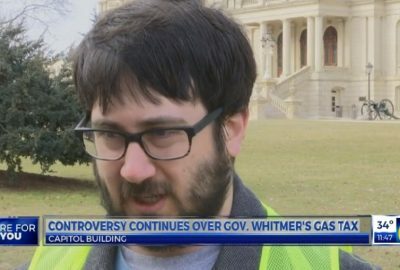 Libertarian for Secretary of State. 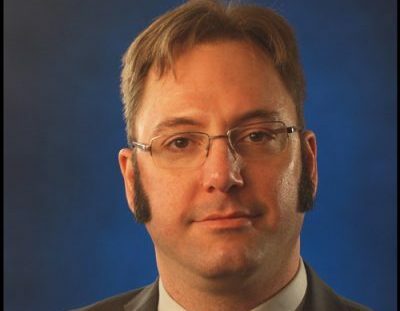 Libertarian nominee for Secretary of State Gregory Stempfle has been campaigning across the state since receiving the party nomination at the August 25 state convention in Romulus. 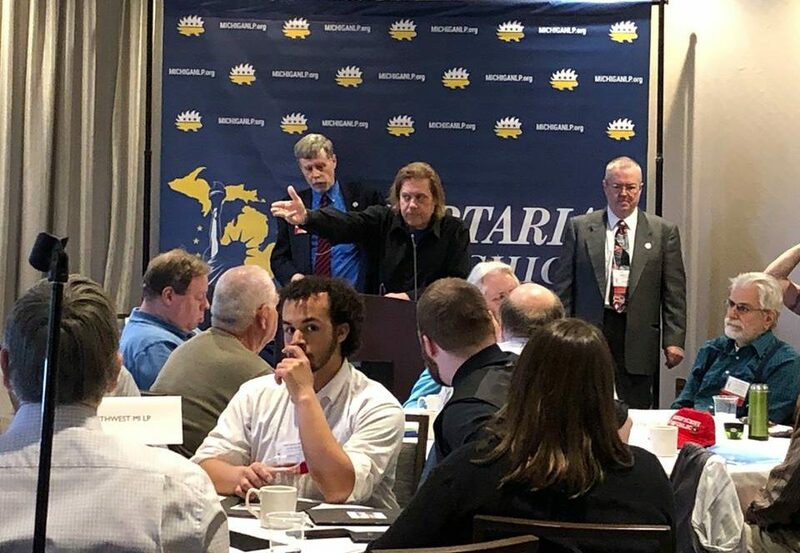 During mid-September, Stempfle took a five day trip across northern Michigan to speak to voters and deliver state party campaign materials to local affiliates. 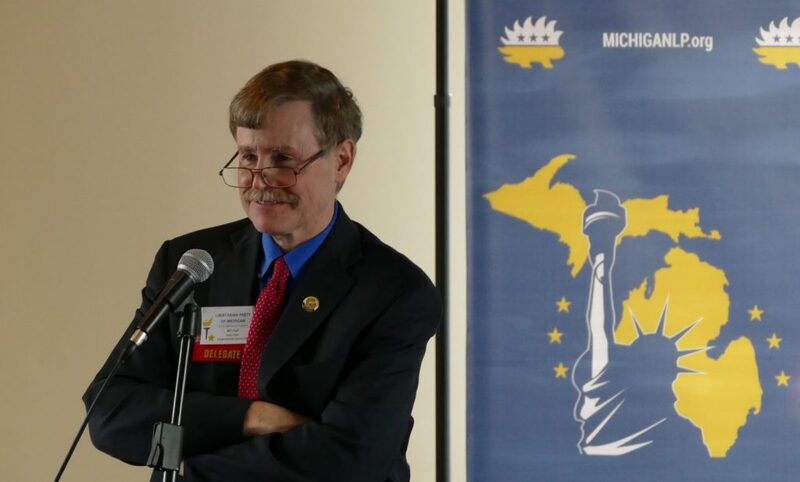 On September 12, Stempfle participated in a candidate meet and greet in Manistee, hosted by the Northwest Michigan Libertarians, along with several other candidates including Bill Gelineau for Governor, David Holmer for Manistee County Commissioner and a number of city officials. 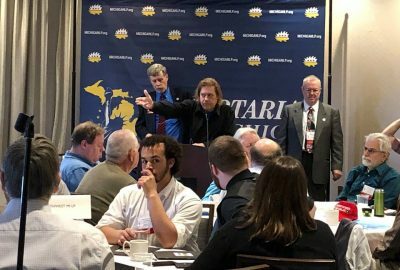 Stempfle also spoke on September 14 at Northern Michigan University in Marquette at an event hosted by the NMU Cannabis Association for Responsible Education and on September 16 in Cheboygan at the monthly meeting of the Straits Area Libertarians. Stempfle has a number of upcoming speaking engagements scheduled. 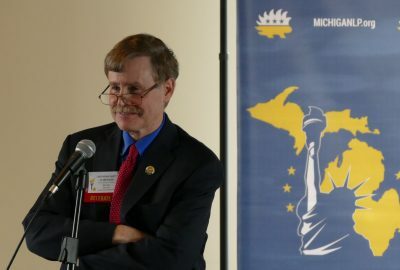 He will address the Oakland County Clerk’s Association on September 26 about election reform, the Metropolitan Organizing Strategy Enabling Strength (MOSES) about voting rights for former prisoners on October 2, and will participate in a meet and greet hosted by CitizenDetroit on October 4th. 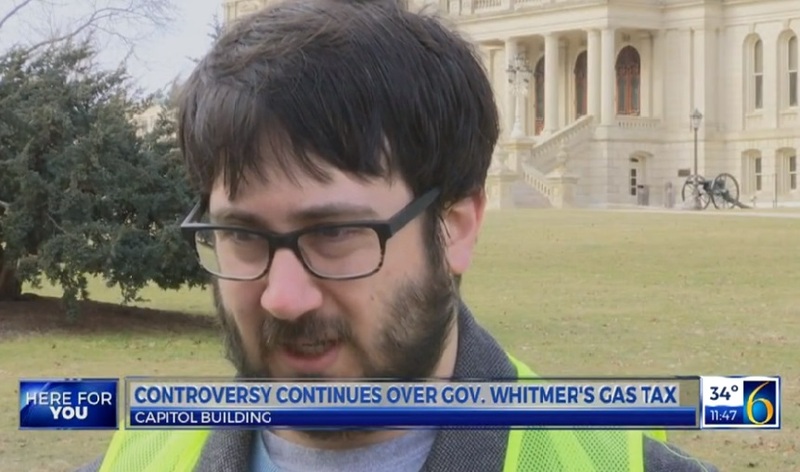 Since getting the nomination, Stempfle has also been interviewed with the Detroit News, the Tom Sumner show in Flint, and by the Oakland County Times.